The 1874 construction of this impressive brownstone landmark at the southwest corner of Chelsea Parade reflected the desire of Norwich’s Second Congregational Church to keep up with the northward growth of the city. Initially, however, only a small colony of the church’s most influential members ended up moving to the new house of worship. 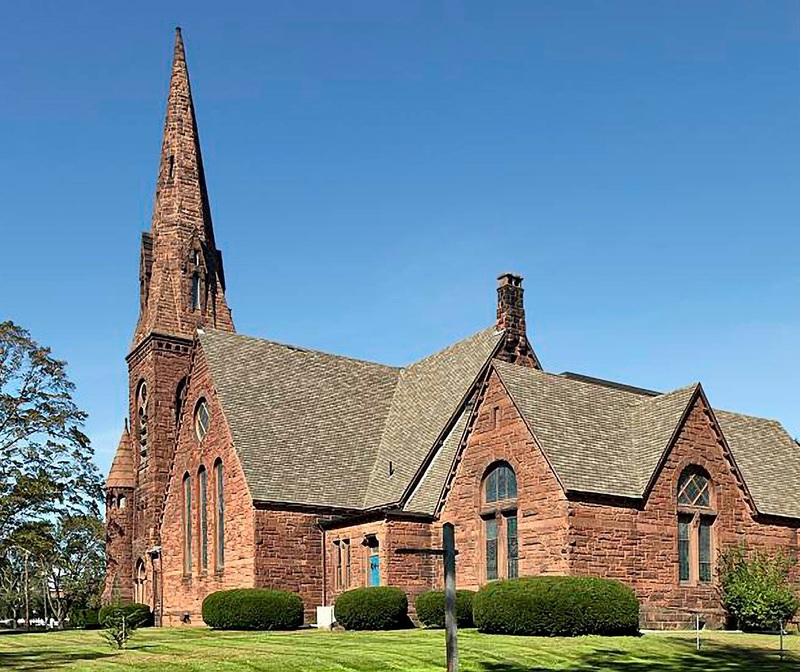 Architect Stephen C. Earle (1839–1913) (see also #3) modeled the building on the 1873 North Congregational Church in Springfield, Massachusetts, designed by Henry Hobson Richardson (1838–86), considered the father of the Romanesque Revival in America. Take time to admire the church’s many eye-catching details, including its intricately crafted foliate capitals and iron door hinges. The three largest memorial windows were the gifts of Harriet Williams (#4) and John Fox Slater (#3, #21.) Mrs. Williams also donated the land.